For example, check out the savings on Bahamas cruise when compared with a resort in Orlando. For a 200 person conference, their estimates came out to $1,126/person for the cruise vs $1,509/person for the resort. Those savings will really add up, and you’re still delivering a memorable experience—perhaps even more memorable than a stay at a land-based resort. Pick the Right Departure City- Location has to be easily accessible for majority of attendees. Large metropolitan cities with airport access are the perfect departure cities for your next cruise. Get Everyone Involved- Send out an email or use a survey to get an idea of what types of activities your attendees want to do while on the cruise. Plan your activities accordingly and meet with your ship’s department heads and conference coordinators as soon as you arrive on the ship. Discuss your programs requirements and make sure all of your needs will be met. 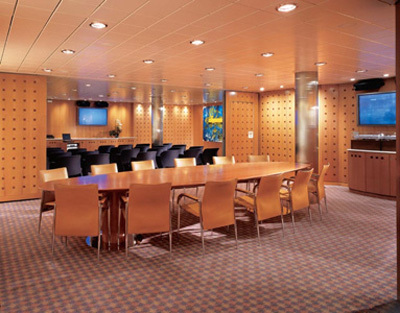 Plan for Excursions - One great thing about cruise meetings is that the typical planning expenses, such as AV equipment, room décor, and entertainment, are included with the ship. Use the money you save there to plan excursions for your attendees. They'll give everyone something to talk about. Take Advantage of Group Dinners- During your group dinners on the ship, use this time to go over all the activities that happened that day, and most importantly, the itinerary of what's ahead. Ready to begin your search? 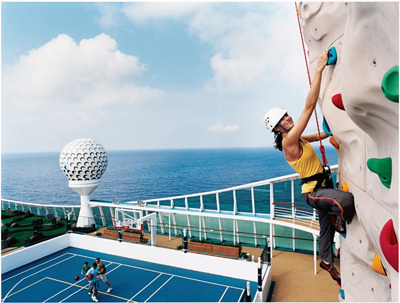 Check out Unique Venues' cruise ships, like those from Royal Caribbean International and Cruise Holidays.